Home » Network News » Prepare to be happy. 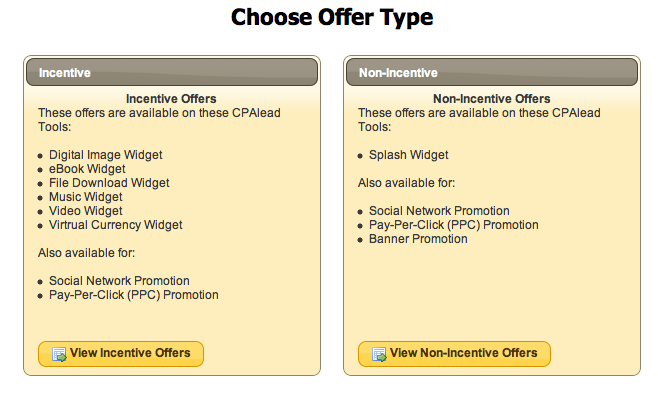 You now have the ability to run Non-Incentive offers through CPAlead using our new Splash Widget. See how easy that was? With one sentence, we’ve opened the floodgates for you to make even more money with CPAlead. Whoa there! I know you’re excited. We are too. Let’s go through these one-by-one. User Experience. Non-Incentive offers allow you to “lightly monetize” without compromising user experience. Your users are simply, briefly waiting to see the content they are looking for on your site. According to our research, this actually increases the excitement for, and value of, your premium content. Think of this new Splash widget as an interactive, picture driven, timed commercial. It presents the Non-Incentive offer to the user perfectly. 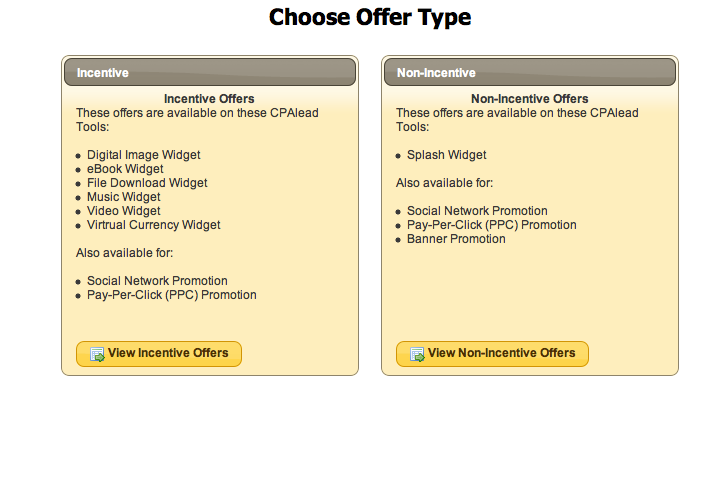 Choose up to three offers and click the Create Splash Widget button. You’ll be asked to name this new widget and have the ability to change the Header Text, Skip Button, Close Delay, and Footer text. C’mon, do you think we wouldn’t give you the ability to completely customize this? Click the Create Splash Widget inside the popup window when you have finished setting these settings. And Shazamm! When you see the message telling you that your widget has been created, you can call your friends and family to gloat about creating a Splash widget of Non-Incentive CPAlead offers. Finally, sit back and let it soak in: NON-INCENTIVE CPAlead OFFERS. Rather watch one of our resident geniuses, Steven Speilberg*, walk you through it? Well, here you go. This is the best part. Our Non-Incentives pay incredible rates and perform better than many Incentive offers. Check them out in your Dashboard. Our advertisers love us so we pass that love to you. Do you feel the love? Even though we are one of the world’s highest trafficked websites (850 on Alexa today), we won’t rest until we can’t generate more traffic because our traffic turns into more money in your pocket. We know that money isn’t a very personal gift, but the great thing about cash is that one-size-fits-all. *The Steven Speilberg that made E.T. and Indiana Jones has nothing to do with this video. The Steven Speilberg we reference is a one-day nickname given to our resident CPAlead genius who creates the instructional videos.